Martina Götz has practised yoga for over 25 years and been teaching for more than 20 of those, predominantly in the Ashtanga tradition as taught by Sri K. Pattabhi Jois of Mysore, India. She has practised extensively with Peter Sanson, Dena Kingsberg & Matthew Sweeney, and is certified to teach Matthew Sweeney’s Chandra & Simha Vinyasa Krama sequences. 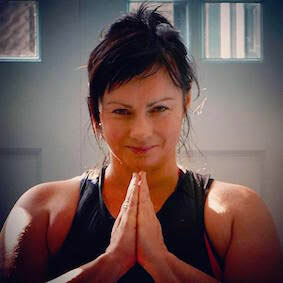 She has also done apprenticeships in Vinyasa Yoga with Julie Emmerson of Stressless Yoga in 1994, and in Hatha and Ashtanga yoga with Peter Nilsson of Auckland Yoga Academy from 2001-2004. Her accessible approach supports & encourages students to find their own innate wisdom within. In Auckland, she teaches regular weekly yoga classes, leads special monthly classes and offers private tuition. She also conducts yoga workshops, retreats in New Zealand and Australia.